You don’t necessarily equate Charlie Chaplin with vicious satire. But in 1940, with the U.S. still at peace with Nazi Germany, Chaplin made The Great Dictator, one of the most biting pieces of satire in cinema history. It was the first major film to take on Hitler and Nazism, and Chaplin tackled both subjects with eviscerating wit. Chaplin plays both a Jewish barber (thought by some to be the final iteration of his Little Tramp character; Chaplin had different feelings about that at different points in his life) and Adenoid Hynkel, dictator of Tomainia. Hynkel’s impassioned speeches, in a made-up language, are hilarious, and a scene involving a giant globe is memorable. The critical community has a mixed consensus on the film’s closing monologue, addressing the film’s themes in a deadly serious fashion instead of a comic one; I can understand the frustration of some, but to me it’s stirring. 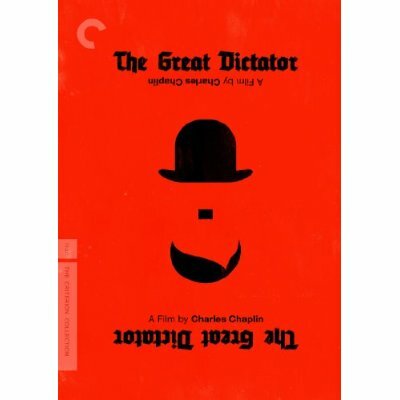 After last year’s Criterion edition of Modern Times, The Great Dictator is the second Chaplin film to join the prestigious Criterion Collection; special features on both the DVD and Blu-ray include audio commentary by Chaplin historians Dan Kamin and Hooman Mehran, a Kenneth Branagh-narrated documentary entitled The Tramp and the Dictator, two visual essays, color production footage shot by Chaplin’s half-brother Sydney, a deleted scene from Chaplin’s 1919 film Sunnyside, and a theatrical trailer. 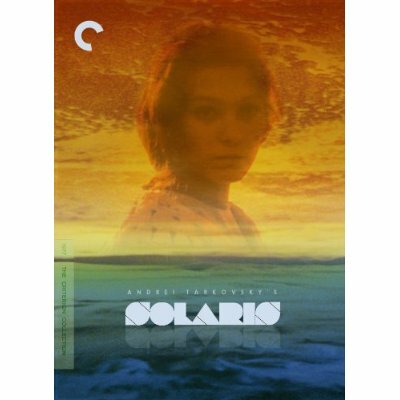 I’ve never seen Steven Soderbergh’s polarizing remake of Solaris, starring George Clooney, though I know Paul’s fond of it; I have, however, seen Andrei Tarkovsky’s 1972 original. Some film buffs think of Tarkovsky as one of the cinema’s great geniuses; I recognize his accomplishments and proffer a yawn. Though certainly far more engaging than his ungodly dull Stalker of 1979, Solaris is still a pretty boring science fiction film with great ideas and some memorable visuals, though all I can really remember these few years later is the 30-minute sequence of a car traveling down the highway. It’s that kind of movie. Special features on both the DVD and Blu-ray include an audio essay by Tarkovsky scholars Vida Johnson and Graham Petrie, nine deleted and alternate scenes, interviews with several people involved in the making of the film, an excerpt from a documentary about source novel author Stanislaw Lem, and a booklet of essays (including an appreciation by Akira Kurosawa!). 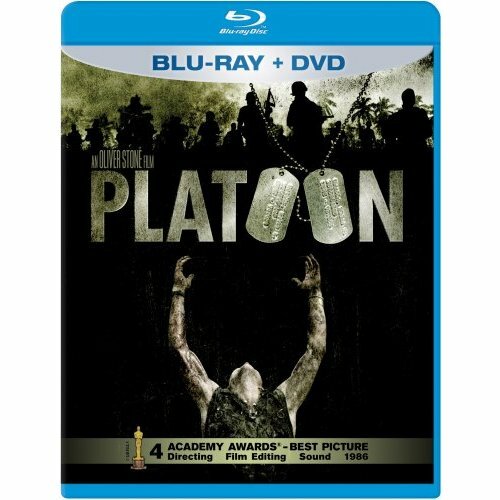 Perhaps in an effort to coincide with Charlie Sheen’s bizarre public meltdown, here’s a Blu-ray/DVD combo of Platoon, the latest in a line of at least nine different video releases listed by Amazon. In any case, catch Charlie in perhaps his only legitimate performance as a soldier narrating Oliver Stone’s Vietnam War masterpiece; think of its gritty, pared-down aesthetic as a companion piece to the theatrical grandeur of Apocalypse Now, starring Charlie’s father Martin. Extras include audio commentary by Oliver Stone, audio commentary by military advisor Dale Dye, deleted and extended scenes with optional commentary from Stone, several featurettes and documentaries, a theatrical trailer, and TV spots. 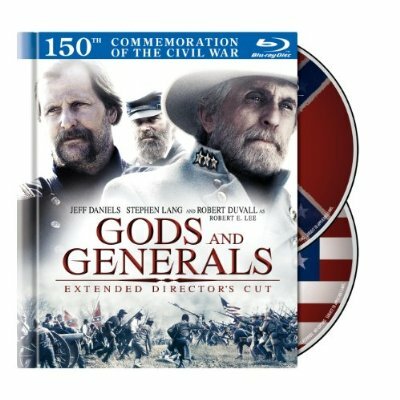 This extended director’s cut of the critically panned prequel to Gettysburg makes its Blu-ray debut. If nothing else, it boasts an interesting cast: Jeff Daniels, Robert Duvall, C. Thomas Howell, Mira Sorvino, and Buffy alum Kali Rocha. For a more complete listing of new releases, be sure to check out Video ETA. This entry was posted in On DVD & Blu-Ray and tagged adolf hitler, akira kurosawa, andrei tarkovsky, apocalypse now, blu-ray, buffy, buffy the vampire slayer, c thomas howell, charles chaplin, charlie chaplin, charlie sheen, criterion collection, dale dye, dan kamin, dvd, film, george clooney, gettysburg, gods and generals, graham petrie, hooman mehran, jeff daniels, kali rocha, kenneth branagh, martin sheen, mira sorvino, modern times, movies, nazi germany, oliver stone, platoon, robert duvall, solaris, stalker, stanislaw lem, steven soderbergh, sunnyside, sydney chaplin, the great dictator, the tramp and the dictator, vida johnson. Bookmark the permalink.